Celebrate Stockton Arts Week to a Masquerade Ball & Drag Show at the San Joaquin Pride Center! 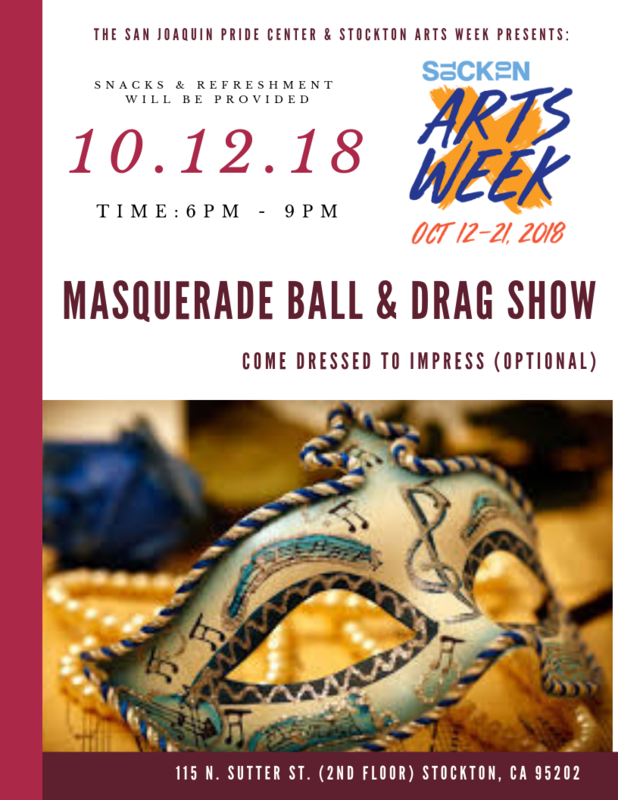 The San Joaquin Pride Center presents; Masquerade Ball & Drag Show! Make sure to save the date and invite the masses. A free, all ages party to celebrate Stockton Arts Week! We will have food, fashion, music, and mostly FUN! Showcasing local drag queens! Don't miss out on these parties meant to bring the communities together!